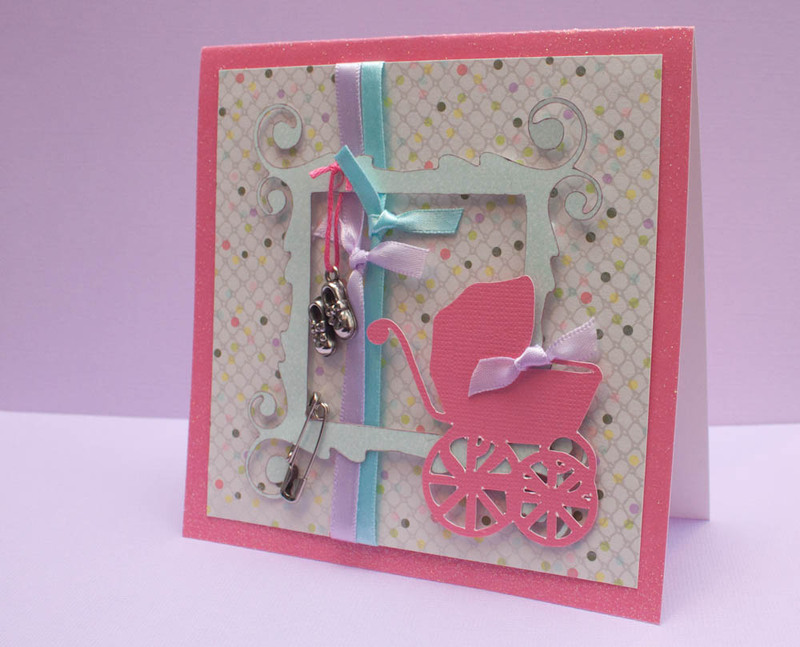 On occasion, card-makers have an opportunity to create for a special event — a graduation, wedding or the arrival of a baby. My husband and I are friends with a couple expecting a baby girl. I turned to my trusty Slice, pink glitter cardstock, tiny shoes and safety pins for this card. Make a card from a 5-by-10-inch piece of pink glitter cardstock (such as from the Street Lace collection by Die Cuts With a View). Cut a 4 1/2-inch square from multi-colored, polka-dot cardstock (my pearl-foil cardstock is from the Couture collection by S.E.I.). 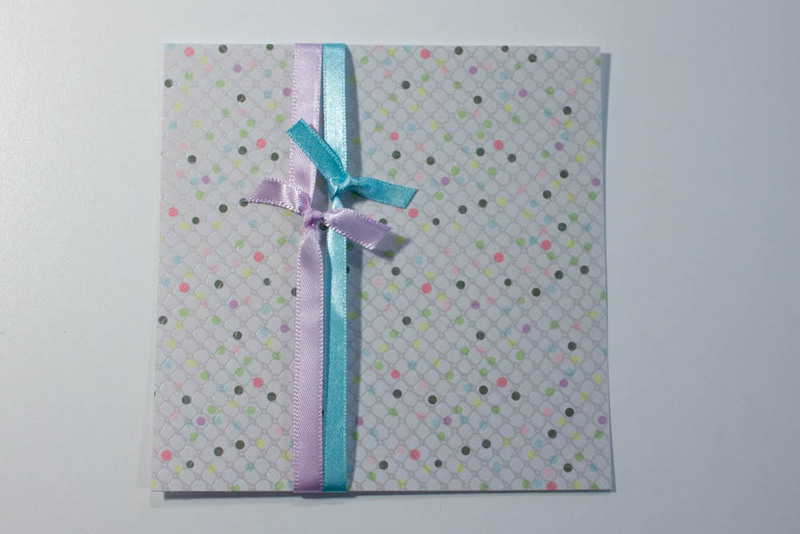 Tie lavender and light-blue ribbons vertically around this piece, close to its center, and adhere to the card front. Cut a 4-inch-square ornate-frame die-cut (I used my Making Memories Slice Elite and “Think Pink” design card) in light-blue cardstock with a subtle texture pattern (also from the Couture collection). Ink the frame’s edges in lavender ink (such as Marvy LePlume II No. 81 pale mauve). 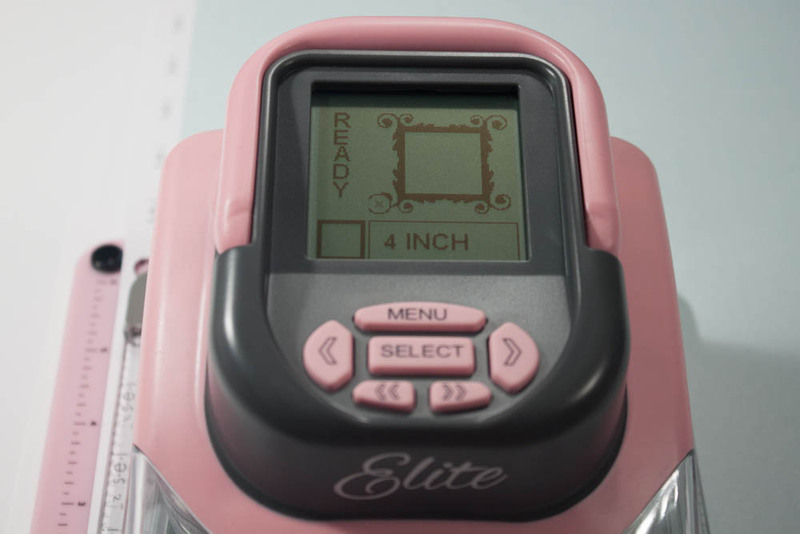 Tie a metal baby-shoe embellishment to the top-left corner of the frame with pink embroidery thread, and attach two silver-colored safety pins to the frame’s lower-left corner. 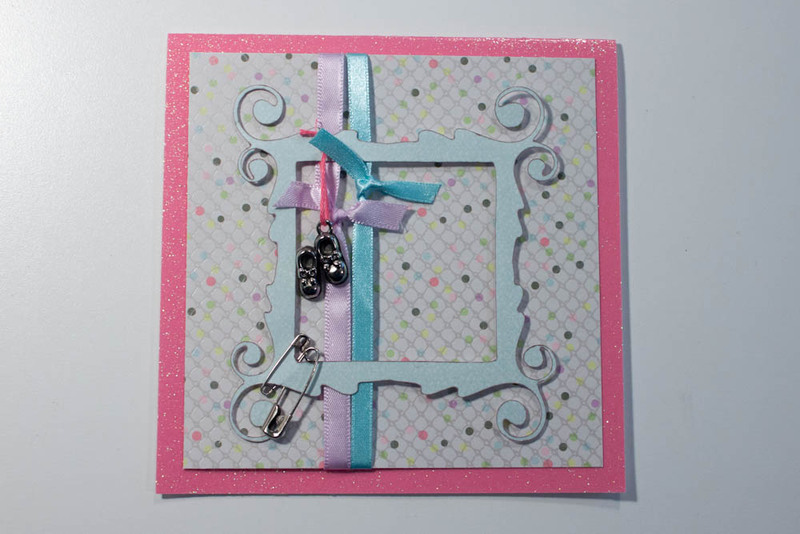 Adhere to the center of the card front using dimensional adhesive, leaving space for the ribbons. 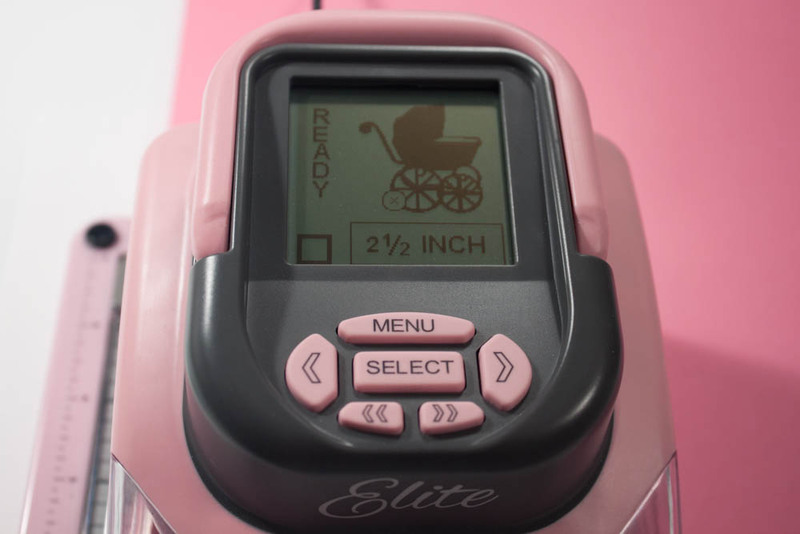 Cut a 2 1/2-inch baby carriage die-cut (I used my Slice and the “Grandma’s Attic” design card) in pink textured cardstock (I used one from the Street Lace collection). Tie lavender ribbon to the carriage, and adhere to the lower-right corner of the frame using glue dots. This entry was posted in Baby and tagged Making Memories Slice. Bookmark the permalink. That is soo sweet and adorable. Great tutorial.